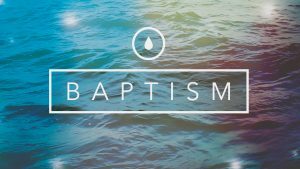 Join us for a service of baptism! Three of our confirmand students have requested to be baptized. Rev. Susan is excited, because these students are being baptized and all three have requested immersion baptism. Because First Presbyterian Church does not have any facilities to provide for immersion baptism, Rev. Wes of Central Christian Church has invited us to use the church for the service. Please join us for this sacred, but exciting worship service.